There are many situations when you, a family member or a member of your household, can contact an illness and spread the germs around your house, which can be related to a cold, flu, stomach bug, diarrhea, chickenpox, or something else. The germs spread rapidly in case of influenza, because there are points of contact in your home that all your family members use several times a day. This allows the disease to persist if you do nothing to inhibit contamination. It is important to know, when you want to eliminate the germs, the difference between cleaning, sanitizing and disinfecting. Cleaning is a process that removes dirt and soil from surfaces, but the risk of infection remains. Sanitizing lowers the number of germs on surfaces. Disinfecting removes and kills germs from any surface to a safe level approved by public health standards. Disinfecting may decrease the risk of spreading infection. Affordable Cleaning Services can help you take some smart precautions for your family’s health. We provide a disinfecting and sanitizing service for your house, at the same price with the cleaning service you have already chosen. 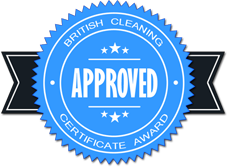 All you have to do is ask for this service, tell us the details about particular places and surfaces you want to be disinfected, and give us extra time to do this job. Before the cleaning visit, we discuss with our customers about the specific cleaning requirements. We want to know if there are particular surfaces that we have to disinfect, and depending on that, we set the time for this service. Because we care about your opinion and about the environment, you can choose between normal cleaning products and environmentally friendly products to use for disinfecting your house. We are looking to offer our clients the best service according to their requirements because we know that a healthy environment means a healthy family. The disinfecting can be done after an one off cleaning, after usual cleaning, after spring cleaning, or whenever it is necessary and required. Pay close attention to your health and let us eliminate safely the germs by disinfecting your home. In this way, we will help your family prevent germs from spreading.